Gross, right? Well, it depends. Sleazy popup ads using scantily clad women to trick you into downloading a tedious castle building game? Absolutely. But trying to put a product you’re proud of in front of an audience that you think would enjoy it? Seems… reasonable. Up to now I’ve been treating writing as a hobby, by and large. Don’t get me wrong, I do my very best to produce high-quality novels: I work on my craft, I edit thoroughly, I use beta readers, I employ a professional editor and cover designer, and I use the best available software to produce a well-formatted and professional-looking final product that I can be proud of when I hit the ‘Publish’ button and see my books go live. The reason is pretty simple: right now, I’m not actively trying to be a full-time writer. I’m a full-time customer support manager for a telecoms software company who, in his spare time, channels his wildly overactive imagination into writing action-packed, mildly amusing and not-terribly-scientific science fiction novels. But long term? Sure, that’s the dream. And I (think I) broadly know how you go about getting there. Write a lot of good books. The more you have, the more chance readers have of discovering you (then buying all your other books). Hmm. Maybe I don’t know. It’s that second part which is a bit of a black art. 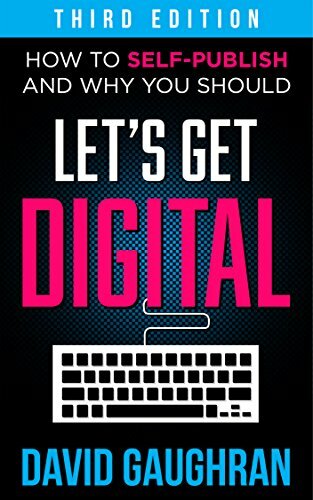 Luckily, there are a whole bunch of friendly, helpful and successful indie author-publishers who are willing to share their expertise and experience, and chief among these is the author of the excellent Let’s Get Digital: How to Self-Publish, and Why You Should, David Gaughran. With the imminent publication of Causal Nexus, I’ve been doing some reading and thinking about the whole launch process, what I might try to achieve, and how there’s no time like the present to start getting the hang of the part of being an indie author-publisher that I’ve been completely ignoring. All this pondering naturally led me to David’s site, and two articles in particular. Every 90 days you can run special promotional deals to either make a book free for five days, or discounted for seven–which, in theory, leads to a boost in downloads, a shot up the charts, and bigger sales when the price reverts to normal. The obvious downside is that any readers who prefer to get their ebooks from non-Zon retailers are out of luck. At least until you unenroll that book from KDP Select and ‘go wide’ again, which can be done after any 90-day period. A more complex example: let’s say you are launching Book 4 in a KU-enrolled series, and are wondering how to build a decent launch. A good approach might be to make Book 1 free for 5 days, and run a concurrent 99¢ Countdown deal on Book 2, and a $1.99 Countdown on Book 3. Maybe load all the ads on sites like ENT and Robin Reads on that free Book 1 and then give the whole series a push with a carousel ad on Facebook. That’s already a pretty aggressive launch but further boldness is likely to be rewarded. I’d also suggest launching Book 4 at $2.99, even if you normally price and launch at $3.99 or $4.99, and also throwing all sorts of ads into the mix at places that might normally not give you the best ROI. Because KU is all about visibility. And just like that, I have a Launch Plan™ for Causal Nexus. 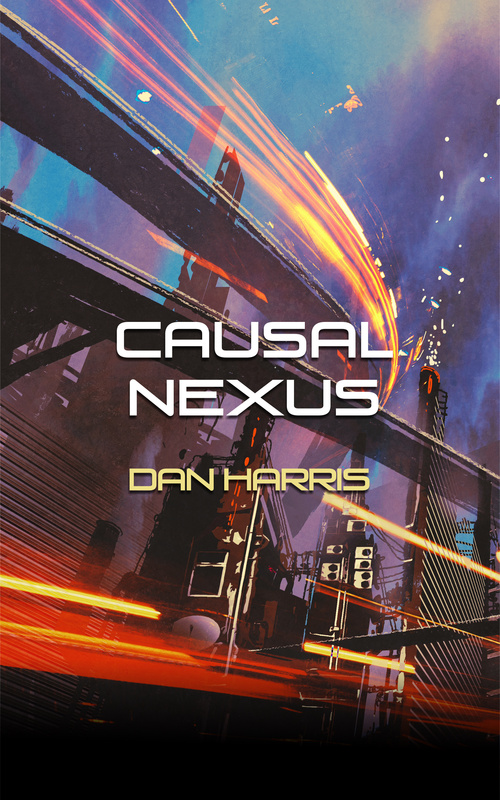 Finish Causal Nexus, upload it to Amazon at a discounted launch price of $2.99 and enroll it in KDP Select. On launch day, make Ascension Point free for 5 days, run a concurrent 99¢ Countdown deal on Venus Rising, and advertise both on Ereader News Today. At some point, revert all three to the usual price of $4.99. Who knows. This is all a bit of an experiment to start finding out how it all works, but I’m quite excited now that I have an actual plan. I’m still expecting to have Causal Nexus ready to go in April, so there’s not long to wait. Longer term, I expect I’ll experiment again and unenroll my books from KDP Select to share them more widely, perhaps dipping back in for launches of new books, or not, as I see fit. The exciting thing is that as an indie author-publisher I have these options at my disposal, and all the time in the world to try different approaches and see what works best. What a time to be a writer! His eyes felt so bleary and red. So he banged out a link dump instead. Are You Absolutely, Positively and Wholeheartedly Ready to Publish Your Novel? And finally, some immortal words from Mr. Kurt Vonnegut. Time for another link dump, methinks. Lots to share. Tools for the writer’s toolbox.